CBD Oil Review rates Procana with two stars because it qualifies for the Quality & Mission Badges. Procana is one of those CBD brands hyper-focused on research and development. 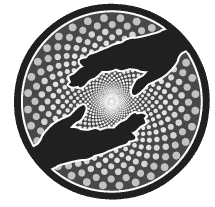 We love that they are serious about science, maintaining a medical board and conducting multiple studies on their CBD oil. They are a member of the Hemp Industries Association and exude the essence of a reputable, trusted brand. They’re getting there, but Procana needs to up their game on independent laboratory tests. We’re very serious about this issue, and in this case, it probably just means some internal streamlining versus a complete processes shift. Ipso facto, they’re very close to earning a Safety Badge. 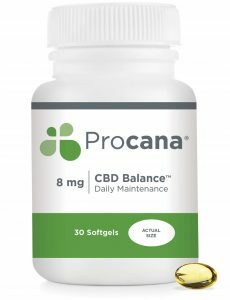 Procana is all about the CBD scientific/medical angle, housing three esteemed medical doctors on their board and claiming to be involved in extensive studies. They’re particularly concerned with ratios in their products, experimenting and documenting in an attempt to render the most effective and potent combinations. Their CBD is sourced from the Czech Republic and extracted via the supercritical CO2 method which we highly approve of. Procana comes very close to receiving the Safety Badge since most of their products contain testing information. But we are notorious sticklers in this department. Various Procana products contain independent results for potency but none for contaminants and vice versa. Safety – A comprehensive cannabinoid profile should be shown so we can determine that THC levels fall at or below the legal level and that CBD is indeed present. Plus, we need to be sure there are no harmful contaminants like residual solvents and heavy metals. Getting what you pay for – This is why we demand test results for each SKU. Without them, CBD companies can in theory, place scant amounts of CBD (or none at all) in their products while the consumer is none the wiser. CBD Balance – CBD isolate softgels in grapeseed oil and tinctures suspended in extra-virgin olive oil. Each dose contains eight milligrams of CBD. CBD Complete – Extra strength varieties of the above options with 20 mg of CBD per dose. CBD Ultra – This maximum strength option delivers 50 mg of CBD per capsule/dropper. CBD Vape – Procana offers a very clean vape line (not very common in this space) whose ingredients are merely CBD, MCT oil, natural oils, and organic flavoring. They sell disposable CBD vape pens, vape liquids, and cartridges. Bottom Line – Procana is on the right track with quality formulations and cleanly processed CBD oil. We suggest streamlining their testing processes so all SKUs are covered for both contaminant and purity concerns. A little charitable giving wouldn’t hurt either. 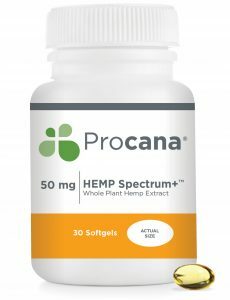 Procana sources their hemp CBD from the Czech Republic, uses CO2 extraction, and offers premium, all-natural ingredients in their CBD products. Procana is engaged in multiple medical studies and ongoing CBD research with leading doctors and scientists. Hello! I'm reaching out on behalf of Procana Laboratories. We came across your review of our company and products. The review states that we do not have COAs of our products and that we do not mention our extraction process. We just want to clarify that we do offer COAs of all our products, all which are available on our website. We very clearly state that our extraction method is supercritical Co2. Would you please update the review to reflect the truth about Procana? Hi Natalie, Thanks for reaching out to us, Procana's review is now in queue to be reworked and updated. Please check back in a few weeks.